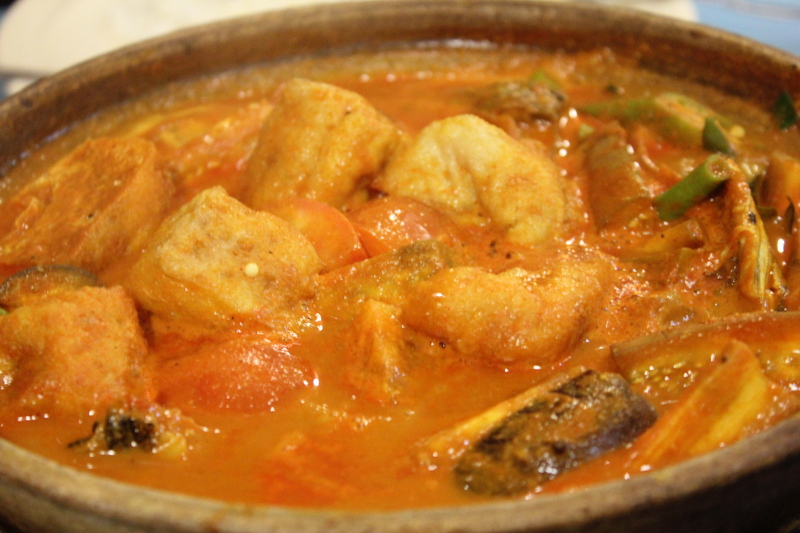 Peranakan and Nyonya cuisine is a combination of Chinese, Malay and other influences into a unique blend. Nyonya cuisine arises from blending Chinese ingredients with spices and cooking techniques used by the Malay/Indonesian community. Tangy, aromatic, spicy and herbal are a few common descriptions of Nyonya cuisine. In Nyonya Roots, the food heritage of Nyonya cuisine continues from recipes being passed down from one generation to another so that we can continue appreciating Nyonya food. The star of the night was Ah Ma’s Kari Hu Tao or Fish Head Curry. Cupid has struck us and it was love at first sight. Yes, it was that good. The curry fish head was generous in portion. Each spoonful, you will find yourself scooping chunky pieces of fish, tau pok , long beans and lady fingers which were swimming in the thick, red gravy. It was delicious. The Petai Prawns was a rich in colour and was tasty. Petai is also known as “Stink Bean” or “Bitter Bean” and is commonly used as a culinary ingredient in South East Asia. If Petai is not your bestfriend, rest assured the flavours of the petai is not overpowering in the Sambal sauce. I dare you to give Petai a try, it can be either a love or hate relationship. 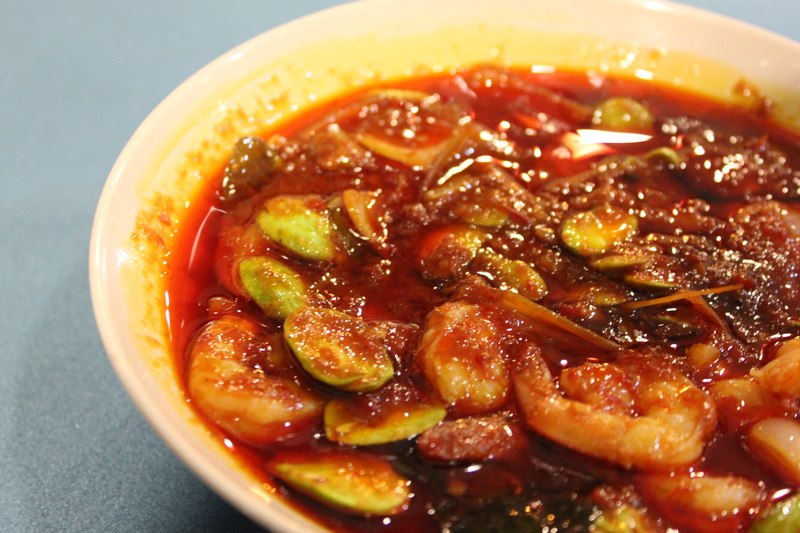 Aunty P’s Petai Prawns (RM 34.90 (M)/RM 39.90 (L)). With every bite, a crunch was heard. That explains the texture of the Inchi Kabin . 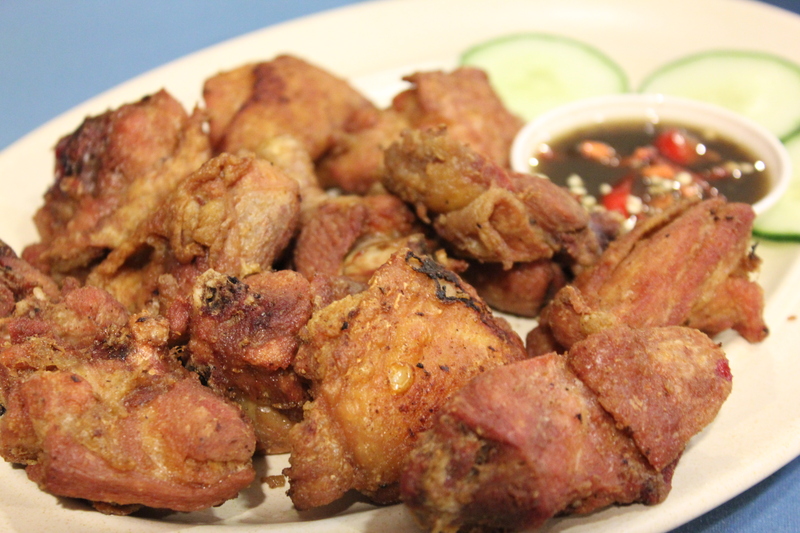 The Inchi Kabin is a Nyonya style deep fried chicken that has been marinated with coconut milk and deep fried twice. It was non-oily and flavourful. The sour tang of the dipping sauce was indeed a perfect match with the fried chicken. It was a matchmake in heaven. One piece of fried chicken, and that’s it, I am already craving for more! 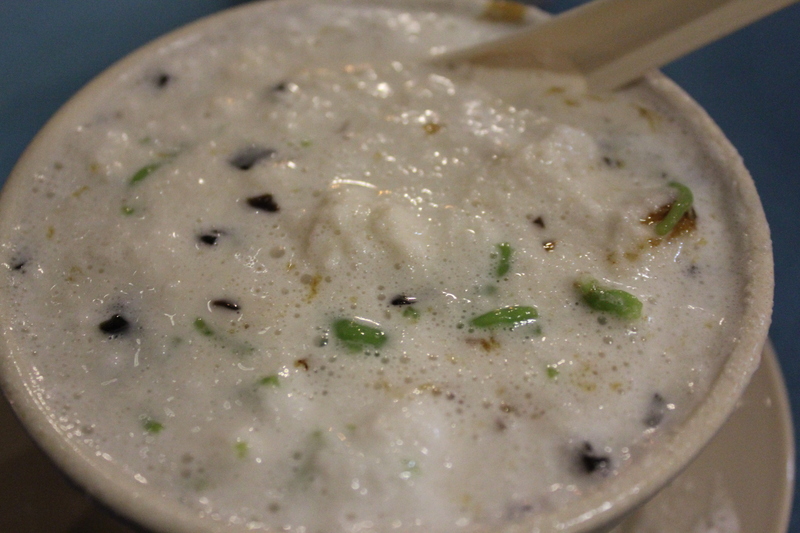 Unlike many stores around Malaysia selling Cendol, the Cendol in Nyonya Roots’ speaks its words of being supreme. 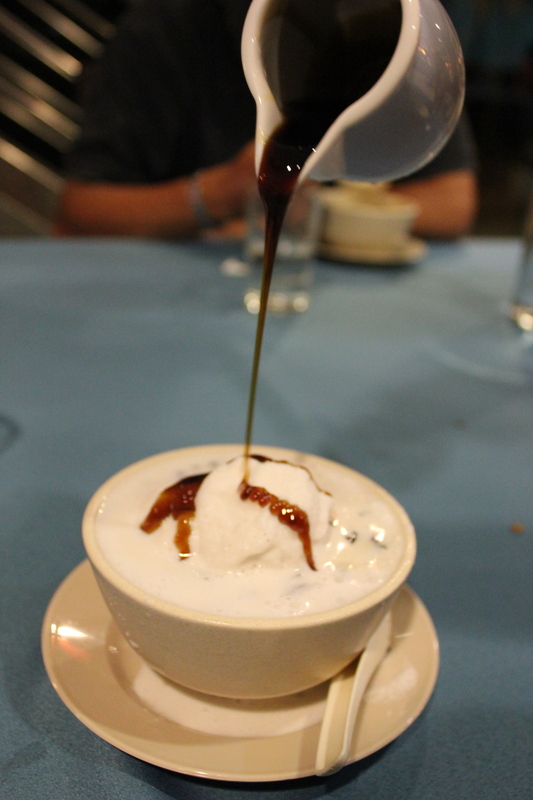 A generous amount of jelly noodles (made from rice flour with green food colouring) and cincau (black jelly) together with a drizzle of Gula Melaka (Palm Sugar) makes this Cendol smooth and powering with light flavours. It was a really good dessert to end dinner! Nyonya Roots’ Cendol Supreme (RM 6.90). A hidden gem located in a sports complex, it is a must visit. The food is cooked with love here in Nyonya Roots. The service is also very friendly, which makes you feel welcomed. Highly recommended for all types of palates and I assure that the dishes will make your belly happy! What are you waiting for? As Chinese New Year is coming soon, Nyonya Roots is offering Yee Sang (a traditional Chinese New Year dish) for RM 33.90. I love Nyonya Chicken curry it is one of the best chicken curries I have ever tasted. The Inchi Kabin looks and sounds really good too. Thank you for introducing a few more dishes to me. No worries Bhavna! 🙂 You should make a trip to KL one day! Food is really good here!